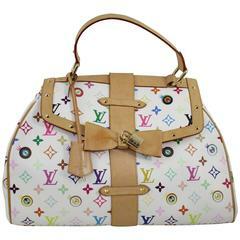 Louis Vuitton limited edition baby pink epi small alma bag with colorful stickers. Handle drop 10cm, shoulder strap 113cm. Comes with lock and 2 keys, dust cover, booklet and box.